If you don’t have the Ningaloo Coast in Western Australia on your bucket list, then you need to grab a pen and write it at the top. Why? Because I’ve just come back from exploring arguably one of the most beautiful coastlines in Australia and needless to say, I am already itching to get back. Stretching over 300 kilometres, the Ningaloo Coast World Heritage area begins at the Murion Islands to the north, followed by the Bundegi and Jurabi coastal parks in the Exmouth Gulf, stretches around the North West Cape and ends at the southernmost point, at Red Bluff. The Ningaloo Reef is the largest fringing coral reef in Australia and one of the healthiest coral reef systems in the world. What makes this stretch of coastline so stunning are the shallow lagoon formed by the reef. The deeper offshore waters create a diverse array of habitats for a multitude of colourful corals, more than 500 species of fish, whale sharks (the world’s largest fish), turtles, dugongs, dolphins, sharks, manta rays, humpback whales and orcas. Read on to find out more including how to get there, where to stay, what to see and do, and where to eat. You can download my Ningaloo Coast Travel Guide from here so you can print and take this with you on your trip to the Ningaloo Coast. Enjoy! On this trip I was based in Exmouth. I flew with Qantas from Brisbane to Perth, and Perth to Exmouth. Qantas is actually having a sale on flights to Perth from major capital cities in Australia, as well as other destinations in Western Australia, including Broome and Exmouth. So if this isn’t the perfect excuse to visit the Ningaloo Coast, I don’t know what is! The sales ends on Monday 17th October 2016 unless sold out prior and conditions apply. So get in quick! Visit Qantas.com for more details. When you arrive in Exmouth, there is only one way to get around, a hire car. However, a normal car won’t do, you have to get a 4WD because you’ll be doing a lot of driving through the Cape Range National Park that requires you to drive over rocky off-road tracks as well as sand. I highly recommend organising a 4WD with Budget Direct ahead of your trip so when you get off the plane, its ready and awaiting your adventure. The town of Exmouth is about a 25-minute drive from the airport. I stayed at the Novotel Ningaloo Reef Resort, which was located at the entrance of Exmouth and very accessible. If you’re camping, there are heaps of spots in the areas as well as the Cape Range National Park, just remember to book in advance. If you’re looking for somewhere nice to stay, and I mean really, really nice, then look no further than Sal Salis. It’s located in the Cape Range National Park and it takes about an hour to get there from Exmouth. Exmouth is a really cool quintessential Aussie town – it’s tiny and there are only a handful of shops, including an IGA, chemist, a few surf shops and a bakery. Exploring the town for an hour or so is probably enough. Looking further north as you drive out of Exmouth, you’ll soon be surrounded by the west coast of the peninsula and the Bundegi Park. Make your way to Bundegi Beach where you’ll find the sunken pier. Here you’ll find a smattering of locals and tourists casting a line into the deep blue ocean. This is also a great spot for families and is usually very quiet. The best place to watch sunrise and sunset is from the Vlamingh Head Lighthouse. The views are to die for and so peaceful. If you’re lucky to visit during the whale migration season (July to November), you’ll literally see hundreds of whales making their way south to cooler waters every day. Watching them breaching, slapping and swimming in the water is an incredible sight to see! If you are in the area during spring, keep an eye out for the local native flowers as the blossom under the warm sun. I was taking a photo of a beautiful purple flower and a local kindly let me know it’s called the Mullamulla. It’s these moments that make me love travelling so much! From here you’ll loop around to the eastern side of the peninsula and find yourself in the Jurabi Coastal Park. If you’re looking for a beach spot with no people, the Jansz Access and the Wobiri Access will always deliver. And the colour of the water is insane! There are heaps of off-road tracks so I absolutely encourage you to go off piste and explore till your heart is content. You obviously need a 4WD to do this, so don’t even think to attempt this if you’re in a different type of vehicle. Seriously. I found an unmarked off-road track on the coastal side between the Brooke Access and Tantabiddi Access and as I drove towards the direction of the coast, I was pleasantly rewarded with huge sand dunes that fell straight into the reef. It was utterly breathtaking and I had this spot all to myself the entire time I was exploring the dunes. Hopefully you will too! 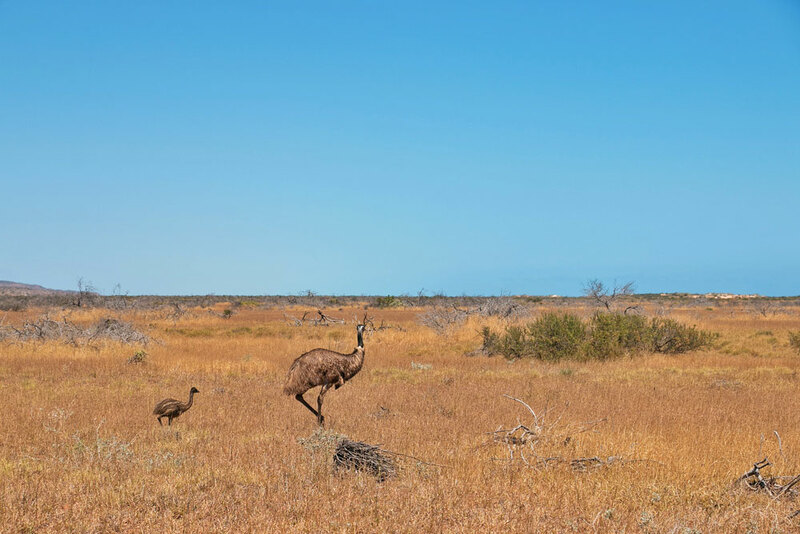 If you keep following the road along, you’ll arrive at the entrance to the Cape Range National Park. 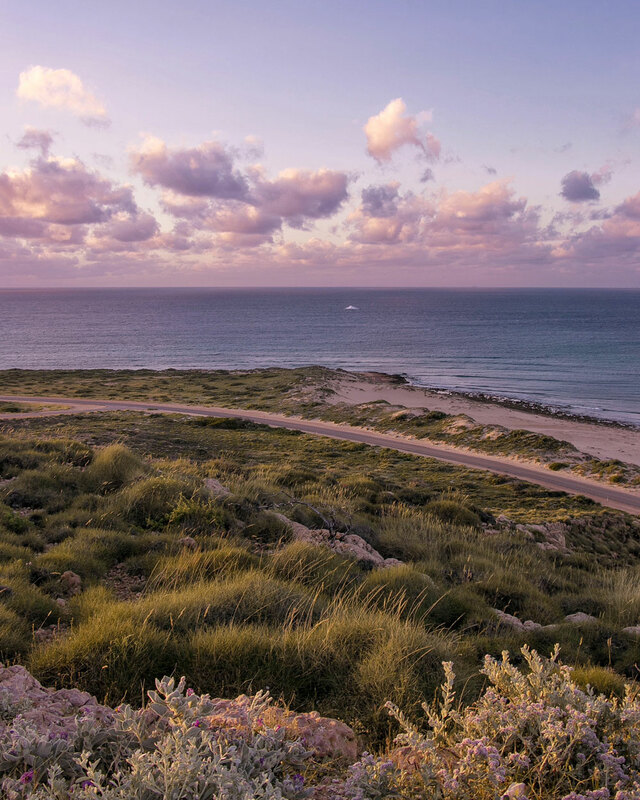 Entrance into the park is $12 per car and here you will find some of the most ridiculously stunning beaches along the Ningaloo Coast located in the Mandu Protection Zone, including Turquoise Bay. Take your time driving to Turquoise Bay, which is the main highlight of the National Park. Stop into the Visitors Centre, check out the Oyster Stacks and take one of the many off-road tracks. When you do get to Turquoise Bay, there are two car parks to choose from. My best tip? Just grab the first park you see as each has its own entry to the beach and depending on the wind, you may want to plonk yourself on the other side, or vice versa. Also there are daily shuttle services from Exmouth to Turquoise Bay if you don’t have a car. Turquoise Bay has to be the most gorgeous beach I have ever seen in my entire life. It really is something to see and the water is truly crystal clear. It’s the perfect spot to spend an afternoon relaxing, swimming and snorkelling. Drift snorkelling is one of the most popular activites at the beach where you let the current wash you north to the sand bar. You’ll see colourful coral and plenty of fish, and you might be lucky to spot a baby shark or two! 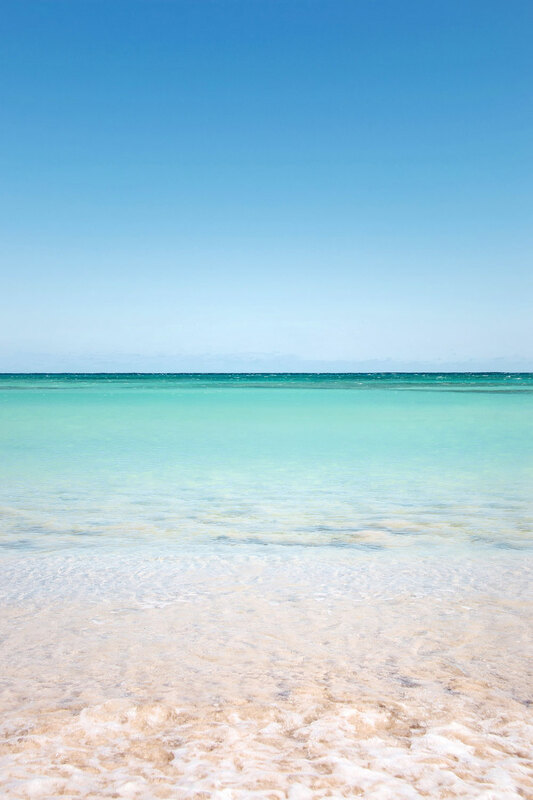 Do understand the currents in the water can move very quickly and as the beach is not patrolled by Life Guards, swimming and snorkelling in pairs is strictly advised. Respect for the environment is the key to keeping the coral in pristine condition, so don’t step on it, hit it with your snorkelling fins or take a piece home with you. Leave it as it is. I’ve always said the best way to really experience a place is to see it from above and you absolutely cannot leave Exmouth without organising a motorised hang glider experience with Birds Eye View. It was the BEST thing I have ever done in my whole life. For an hour, I was flown above the Ningaloo Coast in a hang glider with a motor, and a pilot too – of course. We flew over the ranges and up and down the Ningaloo Reed, spotting whales, and sharks and turtles. Additionally, you can’t leave Exmouth during the whale migrating season without joining Ningaloo Discovery Tours for an afternoon on the water whale watching. If you’re lucky you might not only get to see whales swimming, breaching and slapping, but you’ll also get to snorkel and hopefully swim with whale sharks and humpback whales! This operator is the first to offer in water humpback whale interaction tours. They also put on a healthy spread for lunch and give you a glass of bubbles as you make your way back to shore. Divine! WHERE TO EAT After all of your exploring, swimming, adventuring, hiking and snorkelling you’ll have no doubt worked up an appetite. Whilst Exmouth is small, there are plenty of places to eat. SeeSalt does a great Vietnamese Pho and 5 Kennedy Street does a delicious pistachio and panko crusted fish. A lot of locals get dressed up and enjoy a fine dining experience at Mantarays, at the Novotel whilst there are also a couple of pubs and burger joints in town for a more relaxed meal. The best place to watch sunset is from Vlamingh Head Lighthouse. See the whale splashing in the water! Ahhh whale watching is such a beautiful experience! The Ningaloo Reef - from a hang glider! Waves crashing over the Ningaloo Reef - mind blowing!